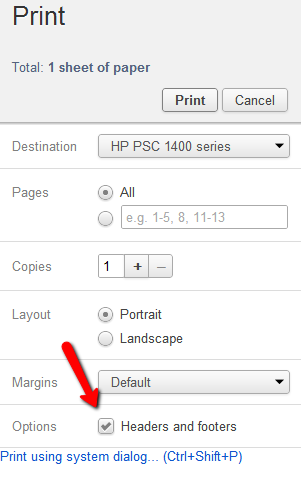 How do I remove the "http://form.jotform...." footer from the printed page after clicking "Print Form" button? Just for update, please refer to this thread from hereon for the continuation of the support discussion. I did not noticed earlier that you already created a similar thread.